Author: Barnes, Steven Set In . . . Description: The epic story of how primitive humans, without words or machines, set in motion civilization’s long, winding journey to the present. 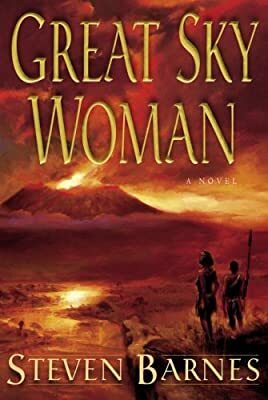 Thirty thousand years ago, in the heart of the African continent and in the shadow of Mount Kilimanjaro, lived the Ibandi, who for generations nurtured their ancient traditions, and met survival’ s daily struggle with quiet faith in their gods. T’Cori, an abandoned girl, and Frog Hopping, a boy possessing a gift that is also a curse, are two of the Ibandi’s chosen ones. Though they live in different encampments, Frog and T’Cori are linked through the mysterious medicine woman known as Stillshadow, who has sensed in them a destiny apart from others’. Through the years, and on their separate paths, T’Cori’s and Frog’s fates entwine as an inevitable disaster approaches from the south—from the very god they worship. For as long as there have been mountain, sky, and savannah, there has been a home for the Ibandi. Now, in the face of an enemy beyond anything spoken of even in legend, they must ask their god face-to-face: Do we remain or do we depart?